Craft beer enthusiast’s may argue with the accuracy of the name “American Pilsner”, but brewers have a sound defense for its use. 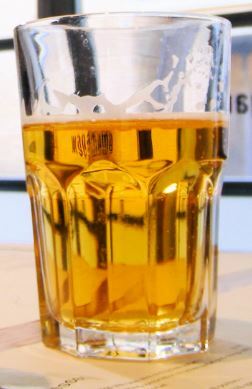 During the latter half of the 19th century the American Pilsner style was born, and its parents were the noble, lager beers of the Germanic states. Brewed by proud, first-generation Germans, American lagers and pilsners were once identical to beers in the homeland. What made them diverge from their Old World roots were a variety of factors that impacted beer, and the United States, beginning in the 1880’s and continuing more than 90 years. 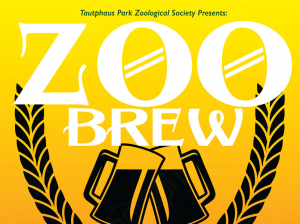 Like biological evolution, the changes were slow and steady, ending in an entirely new type of beer. Prohibition of course, was another influence on the style. During the “Great Experiment” Americans were denied beer. Not even illegal operations helped. Smugglers preferred whiskey. Easier to handle than a barrel of beer, whiskey delivered a bigger bang for the transportation buck. Typically served in a mixed drink, whiskey was lighter than beer in flavor and body, and during the 13 long years of prohibition it turned the country’s taste. Conditions such as prohibition initiated the change in American beer, and world depression, along with natural disaster, finished the job. Although FDR ended prohibition in 1933, the Great Depression continued the stranglehold on beer. Strapped for cash after prohibition, brewers resorted to a technique practiced by Depression era housewives; they stretched recipes, and further lightened the taste. If the depression wasn’t bad enough, America’s heartland – the grain belt – was suffering through one of history’s worst droughts. Barley supplies shrank and the price skyrocketed. What brewers turned to were other cereal grains they called ‘adjuncts.’ Using other grains was known for millennia by the world’s brewing cultures. In colonial America, John Winthrop, Jr. first documented brewing with corn in 1622. Corresponding with authorities in England, he described its addition to a mash of barley malt and noted that it made respectable beer. In post-prohibition brewing, corn contributed twenty five to forty percent of the grain bill of American “Pilsner” style beers. In the process, color, taste, and body lightened again, further separating the beer from its European relatives. After so many beer-less years grateful American drinkers barely noticed the difference. What did it matter? At last, beer was back. An altered consumer preference in taste extended through World War Two and well into the boom period beyond. As demand solidified, brewers continued the task of refining the new style. Innovations, most notably ‘high gravity brewing’ and experimentation with other ‘adjuncts’ were introduced. Finally, the relationship to European lagers was but a distant branch on the family tree. At the close of the 20th century, mention of American style Pilsner beer forms an image of giant breweries churning out a “formula beer” of little sophistication – how unfair. Brewing classic styles presents challenges, and American Pilsner rivals any. Brewers must vigilantly monitor every stage of brewing, fermentation and conditioning, and like fine chefs, practice rigorous discrimination in selection of ingredients and brewing techniques. If they purchase malt or hops with too much sulfur, the resulting DMS (a vegetal character) in the light, delicate beer, could ruin an entire batch. Improper mash-in, the wrong ratio of adjuncts to malt, too short a boil, a weak yeast, incorrect fermentation temperature, and countless other problems could each ring a sour note in a beer that must project subtle harmony. Some of the nation’s most educated and accomplished brewers craft both American Standard and Premium, Pilsner beers from the same base. They begin with malt grown to strict specifications in the Rockies and Northern Plains. To this they add twenty five to forty percent adjuncts of corn and rice in Standard American Pilsner and a slightly lesser amount in the premium version. Each type follows the same process for brewing, and produces similar characteristics. Hops selected for use in American Pilsner receives studied consideration equal to the grain. While brewers restrain the hopping rates, the recipe demands use of high quality varieties, and includes classic European hop additions of Saaz, Tettenang and Hallertau, sometimes supplemented with blends of Mt.Hood, Northern Brewer and others. Worthy of an Oscar in a supporting role, yeast also contributes to the beer’s profile. Breweries select a strain that attenuates (ferments as much of the beer as possible) and then rapidly flocculates (drops out of suspension), leaving behind an exceptionally bright beer. Encouraging flocculation, one US brewer, and several in Europe, use Beechwood. Added to the conditioning tanks as strips measuring one and a half inches wide and two feet long, the yeast clings to the Beechwood, accelerating flocculation without unnatural additives. When finished, American Pilsner pours clean and bright. The palest of light straw color, it shines as a sparkling work of beauty and speaks volumes of the brewer’s care. Above it, a perfectly pure white head rises in the glass and then collapses into lively effervescence. More remarkable than its appearance, the aroma stands alone in the world of beer. No other style can boast a nose more pristine than American Pilsner. The bouquet releases barely any trait at all, perhaps a light suggestion of hops, and maybe a light floral or perfumey yeast signature, but both are fleeting and leave the drinker debating if was actually perceived or merely imagined. Regardless, the aroma accurately foretells the character of the beer. With either sip or swallow, American Pilsner coyly wraps its nature in mystery. In the best examples, no drinker ever detects malt or hop varieties. Low residual sugars, and hops of only 8 to 15 IBU’s (bittering units), a barely detectable amount, heads the list of what has been eliminated. Further enhancing the image of beer purity, it has no diacetyl (buttery), estery (fruity), DMS (vegetal), acetaldehyde (green apple), fusel (solvent or diesel-like), or other fermentation by-products. What’s left is a soft, clean beer with a deftly executed balance between malt and hops. Taste lingers briefly, then quickly fades to a light sensation of dry malt, with no hop bitterness. In fact, the most remarkable feature of American Pilsner is its superb balance. Light in taste and body, American Pilsner’s best quality is its modesty; it reflects the best traits of America. It’s simple and straightforward. Although the United States is known as the home of great computers, pharmaceuticals, and avionics, it is more widely recognized for more consumer-oriented products. What other country offers more quality? From blue jeans to farm products, and broadcast television to pickup trucks, America commands a world market, so too with American Pilsner. In London, Brussels, Munich and Tokyo, natives of those cities speak fondly of their experience with American Pilsner. Yet strangely it’s too often considered a pariah at home. Most beer drinkers began with the style, and sadly, a growing number dismiss it as unworthy – how wrong. Whether snatched out of a chilly refrigerator, or plucked from an icy tub, American Pilsner masters a demanding role. It pleases a great, silent majority, more than adequately represents the United States overseas, and softly quenches a burning thirst. Next time your taste buds fade, or heat overcomes, try reaching for an American Pilsner. Don’t pre-judge. Instead, take a trip back in time to your beer drinking roots and renew your acquaintance with a world classic from your own back yard.